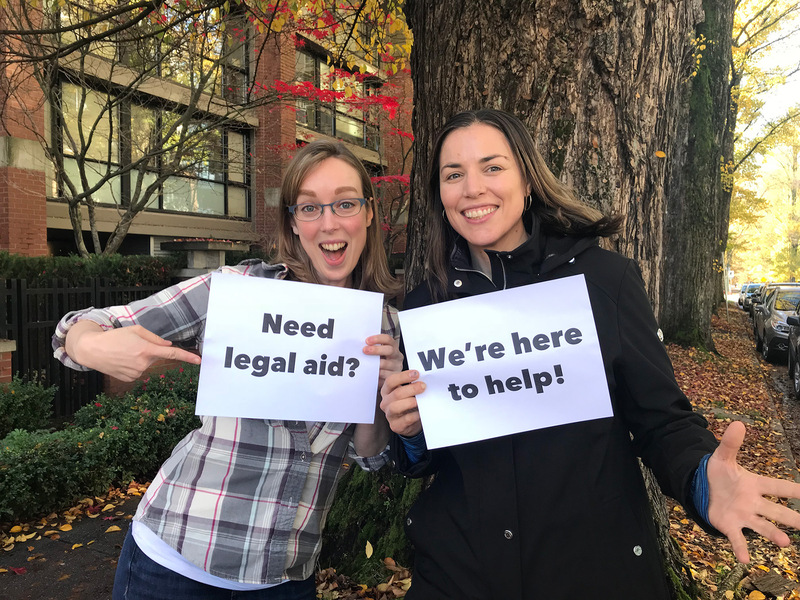 Our Legal Aid team is excited to announce that the Environmental Dispute Resolution Fund (EDRF) has a new application form and has raised the rate we can pay for legal and expert services. We hope that these initiatives make the EDRF a more accessible resource for individuals, First Nations and community groups that need legal help to protect their health and environment. If you’re in search of environmental legal aid, check out this page for details about the EDRF and how to apply. The EDRF is able to connect citizens in BC with environmental legal expertise because of dedicated lawyers who work on EDRF cases at legal aid rates. We are very grateful to the network of lawyers and experts who are willing to work with us to enable citizens to access environmental justice. Environmental legal aid is of critical importance to communities across the province who face major projects that threaten to undermine their health and the integrity of their environment. Having access to an environmental lawyer helps individuals and community groups obtain much-needed legal advice and representation, and it also builds their capacity to engage with the law effectively on environmental issues. The T. Buck Suzuki Environmental Foundation has led a broad-based coalition effort to hold CN Rail accountable for illegal pesticide spraying along the Skeena River, which exposed wild salmon to the toxin glyphosate. The EDRF continues to support the ongoing defense of Ed Roest & Sheila Maguire from an abusive SLAPP suit (Strategic Lawsuit Against Public Participation) brought by Northwest Organics eight years ago, which aimed to silence the couple from speaking publically about environmental impacts from its large scale composting facility. Our team has also advocated for anti-SLAPP legislation in BC, and was thrilled when the BC government introduced a bill in May 2018 to protect British Columbians from these costly legal cases that restrict free speech. How can the EDRF help you? If you have concerns about an environmental problem in your community and want to take legal action, we encourage you to get in touch with us to see if the EDRF can help. Every day we hear from individuals, First Nations, and community groups in different parts of BC – from local fishing clubs concerned about contamination in lakes and rivers, to grassroots activists seeking to hold governments and polluters accountable when environmental laws are not enforced. Every year the EDRF distributes $120,000 in grants to individuals, community groups, non-profit organizations and First Nations across British Columbia. EDRF grants can be used to cover the hourly fees and hard costs of a lawyer, an expert professional, or a mediator/facilitator. For all new grant applications, the EDRF will apply a maximum reimbursement amount of $90 per hour for lawyers and experts, and $60 per hour for articling students. EDRF clients may provide a top-up of up to $90 per hour as a client contribution to their case. Applicants may now apply for up to $2,750 for Stage 1 grants, and $13,500 for Stage 2 grants. Our next goal is to find new and creative ways to make sure that diverse communities across the province know about us and feel welcome to apply for environmental legal aid. We appreciate you spreading the word about how we can help. We also welcome your feedback on making our services more accessible – please share your thoughts on social media or in the comment section below.